Nintendo’s Greatest Game Worlds in One Giant Theme Park! 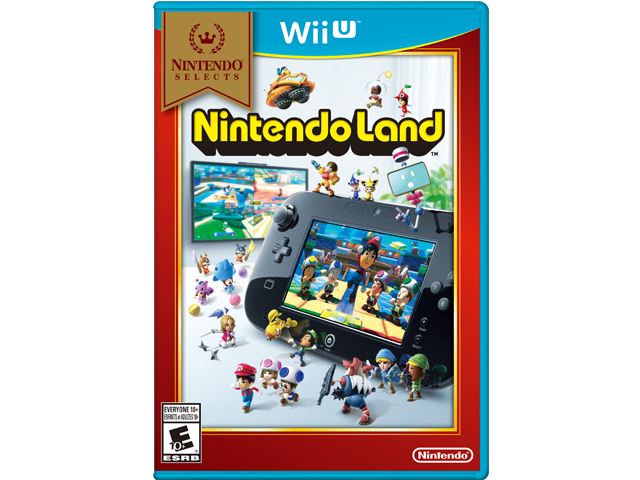 Nintendo Land™ is a fun and lively virtual theme park filled with attractions based on popular Nintendo game worlds. Each attraction features unique and innovative game-play experiences made possible by the Wii U™ GamePad controller. Depending on the attraction, players can play solo, compete against other players, or even team up to play cooperatively. The experiences change depending on whether players are using the GamePad, a Wii Remote™ controller or just watching others play on the TV screen. Team Attractions like Metroid Blast and The Legend of Zelda: Battle Quest that offer depth and challenge for 1 to 5 players. Competitive Attractions like Mario Chase and Animal Crossing: Sweet Day where 2 to 5 players compete against each other. Solo Attractions like Takamaru’s Ninja Castle, Donkey Kong’s Crash Course and Balloon Trip Breeze, that offer simple but fun and engaging play for one player.